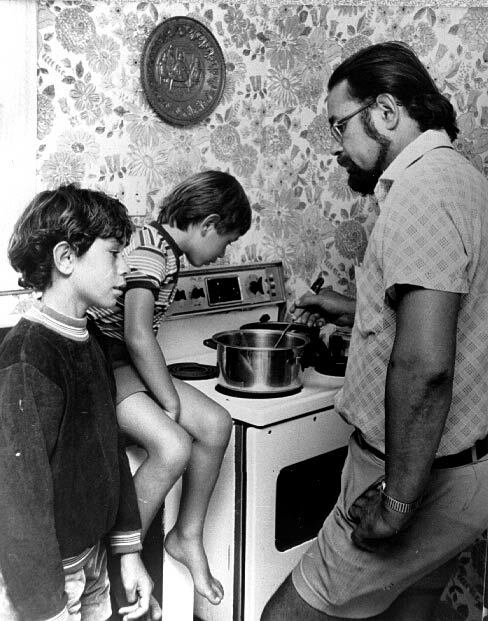 Sole parent Peter Wilson is shown with his sons in 1979. He was a rarity – the majority of solo parents were women – but a growing number of men wanted more contact with, or custody of, their children after divorce. In the 1970s the Family Court generally awarded day-to-day custody of children to mothers. Anger over these issues grew over time. In the 1980s some men began actively seeking changes in the Family Court's approach to care of children after divorce. This intensified in the 1990s, when frustrated groups picketed family courts. They continued to advocate for change in the early 21st century.